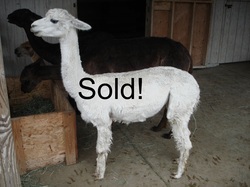 Alpaca brokering is a great way to sell some animals and boost views on your animals. When it comes to marketing I am fairly aggressive and have been able to sell 6+ animals so far. Contact me and we can discuss you marketing needs. My fees are 20% of the selling price of an animal. Fees are to be paid on selling of the animal.